This past weekend, sweet husband and I went to the most eastern part of our pretty state; the Outer Banks! The one and only other time I've been to the Outer Banks was probably about two decades ago (ask me if I felt old saying that) and I was way excited to go. Since I have the attention span of a some tiny bug, the 6 and half hour car ride seemed to take a lifetime on Friday. But we finally got there, and it was perfect! 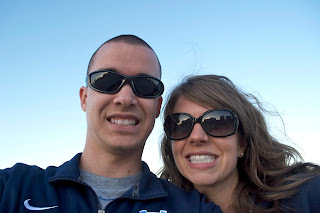 We spent some time on the beach and had a great dinner at a very beachy/touristy place called Barefoot Bernie's. 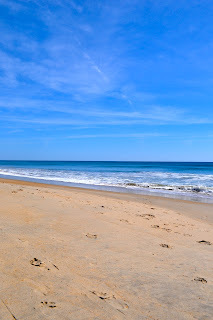 Saturday morning, we headed out to the beach first thing and we could not have asked for better weather! 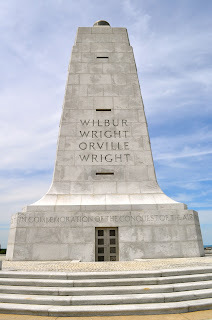 After some lounging and relaxing on beach, we headed to the Wright Brother's Memorial and Jockey's Ridge, neither of which I'd ever visited. 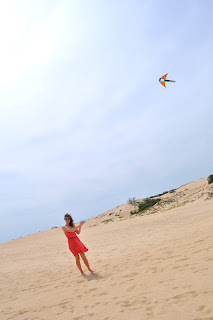 I have lived in North Carolina my entire life and have never set foot on those massive sand dunes, or where the first airplane took off until last Saturday. To carry on the tradition of kid-like activities, we played putt-putt on Saturday night and had so much fun. Also, I totally get why golfers want to throw their clubs or a fit when they miss a putt because I had a couple of frustrated moments. But in the end, my talent shone through and I walked away victorious! 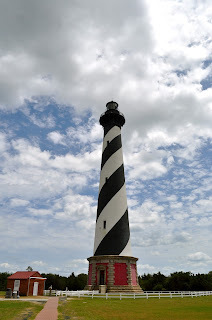 Sunday morning, we hit the road early to make it to Bodie and Hatteras lighthouses. 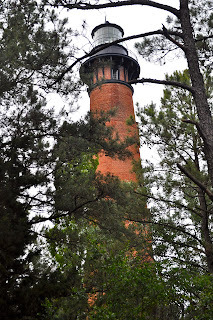 We eventually made it to Currituck, but by that point, it was too late to actually get close to it. If you live in North Carolina, I highly recommend making it to the Outer Banks sooner rather than later. It's quiet, but not boring. It's beautiful and natural, but welcomes you with open arms. And despite what I may have said halfway there or back, it is absolutely worth the time it takes to get there. so... the picture of you frolicking is ridiculous. just sayin. you're a little bit weird. Light houses are the best! Great pictures. Looks like you had a great trip!!!!! Awesome pictures...it's clear y'all had a great time. I agree that the beach is good for your soul. 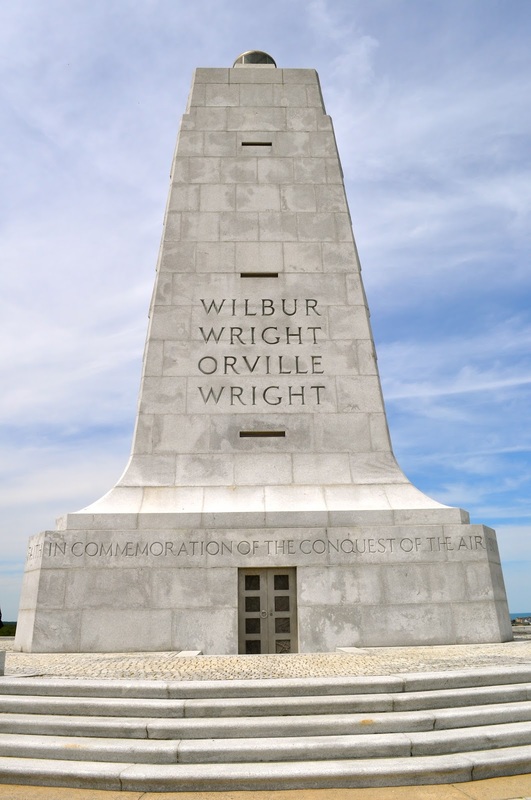 In fact, we're bringing a conference to the OBX in June to try to prove this! :) Check out www.MindandOcean.org. 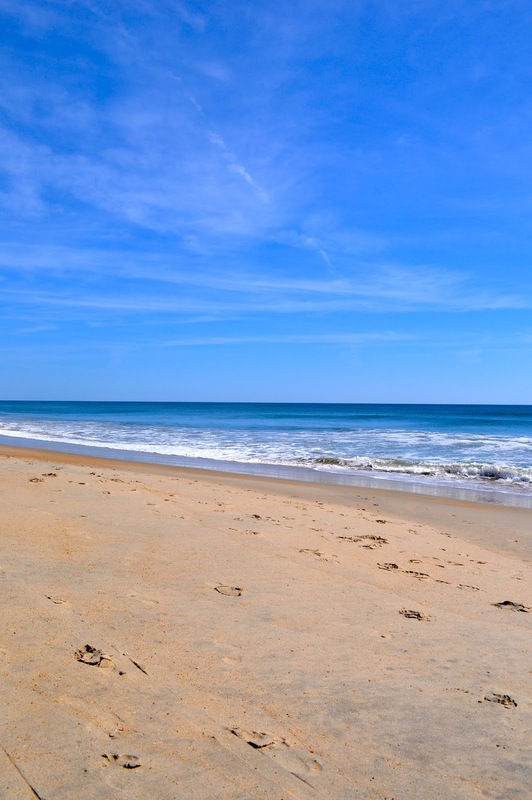 We're so glad you chose the Outer Banks for your vacation. 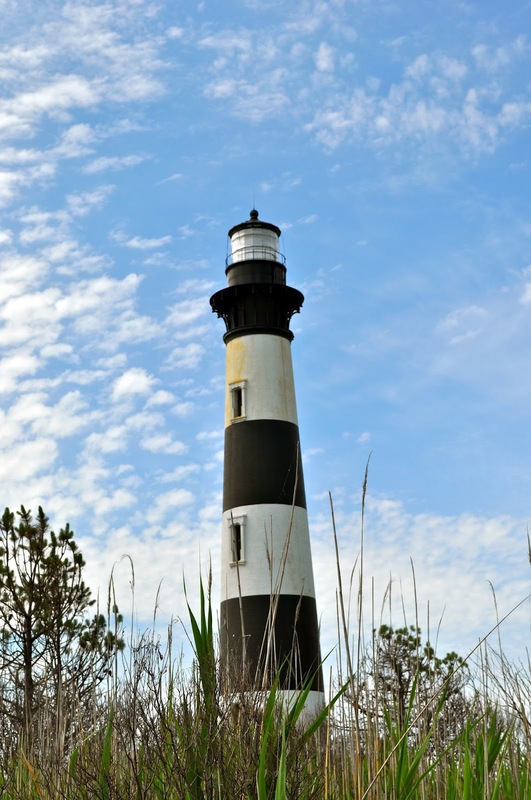 We'd love to help you plan your next OBX trip. Please let us know if we can help. It's May...? How is that Possible? !